Charles Flemer was practically born farming. He’s been working on his family farm for over 40 years, and the farm has been in his family for 4 generations. The Walnut Hill Farm is a 300 acre parcel in Colonial Beach, VA, with 65 acres devoted to produce. Charles and his crew deserve a ton of credit for what they do. They do much of their work using traditional methods, ie with their own two hands. They don’t use Facebook; they don’t take breaks; they’re old school farmers who get the job done. 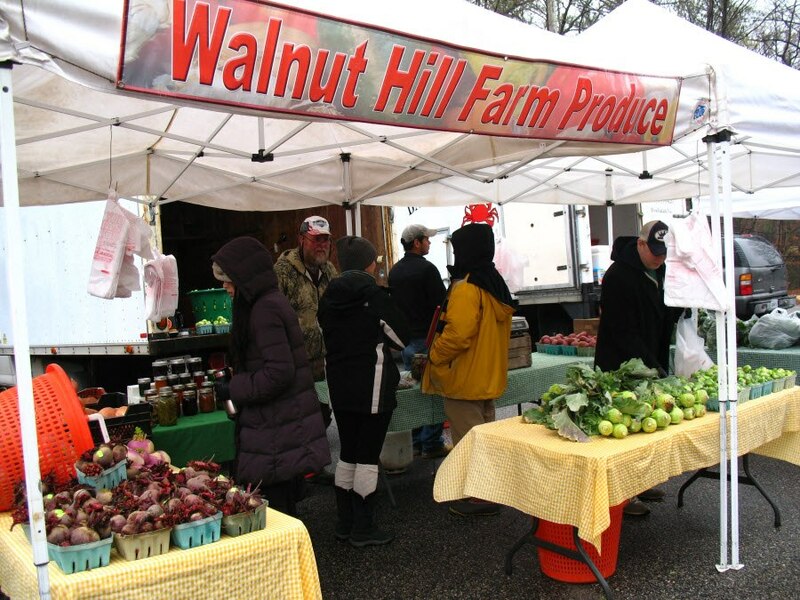 Walnut Hill has been vending with GrowRVA since the first year of the South of the James Market, and they set up at several other markets around Richmond. 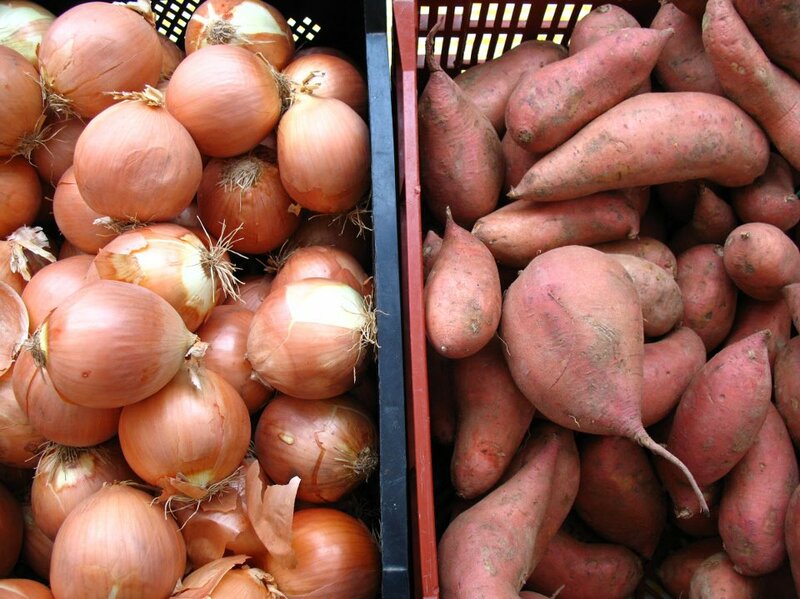 Few people realize just how much work a small number of people do to bring such an abundance of Virginia-grown produce to the markets every week. Walnut Hill also makes preserves of many of their items, which they sell at the winter market, bringing a welcome taste of summer to customers during the colder months. 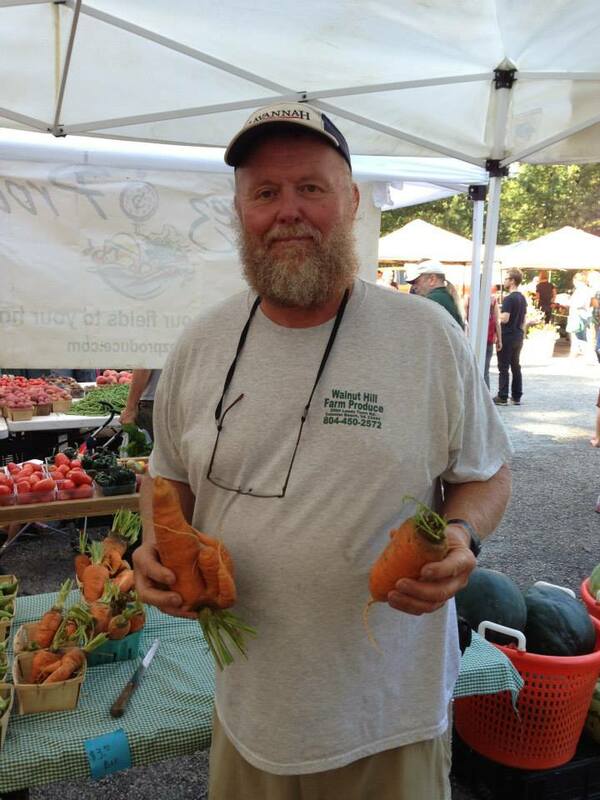 Walnut Hill Farm – VA-grown Produce. Canteloupe, watermelons, corn, tomatoes, beets, cauliflower, broccoli, pecans, figs. Because of the flavor! surprise people about what you do? 40 years. My farm has been in my family for over 125 years. Busy and fun. We also set up at the Midlothian Mines Market, so we are out all day. Great article Stephanie—-we love Walnut Hill—and Charles!!! Thanks David! Looking forward to featuring Village Garden!